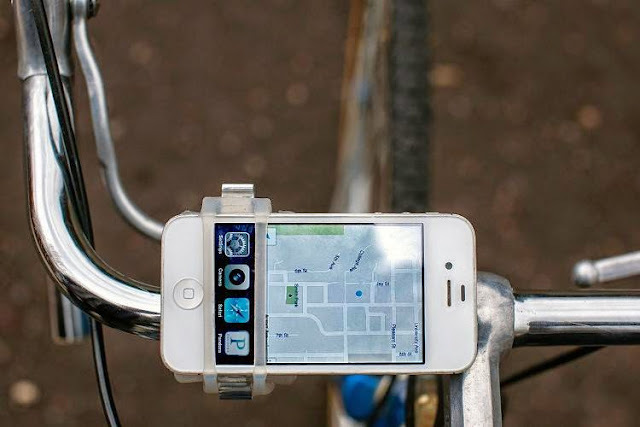 Crookedbrains presents a collection of 'Awesome and Coolest Bike Gadget Holders' from all over the world to attach your gadgets to your bike in style. 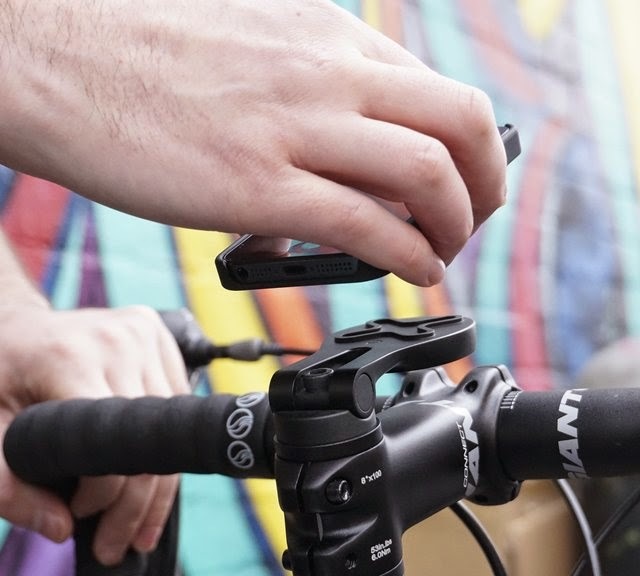 Velocity Clip and Bike Gadget Holder: The set consists of velocity clip and bike gadget holder that allows you to clip any smartphone on to your bike and start filming right away. 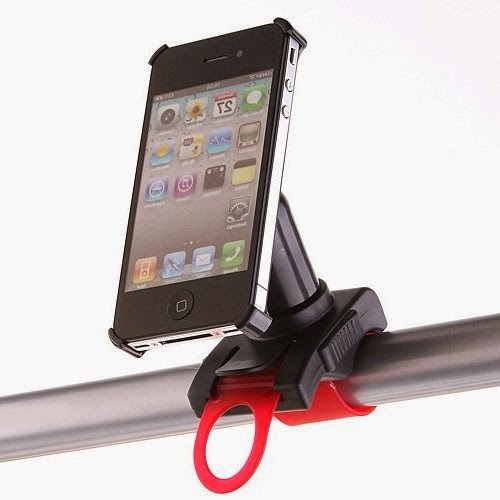 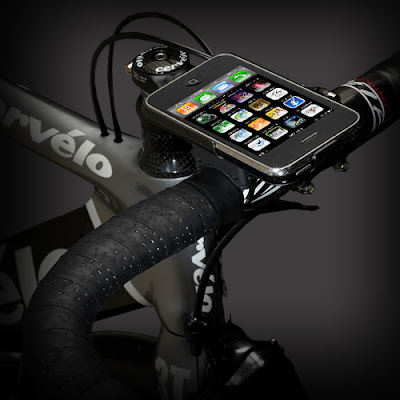 Magnetic Bike iPhone Holder: The M Lock iPhone holder uses most powerful magnets to hold on to your handlebar. 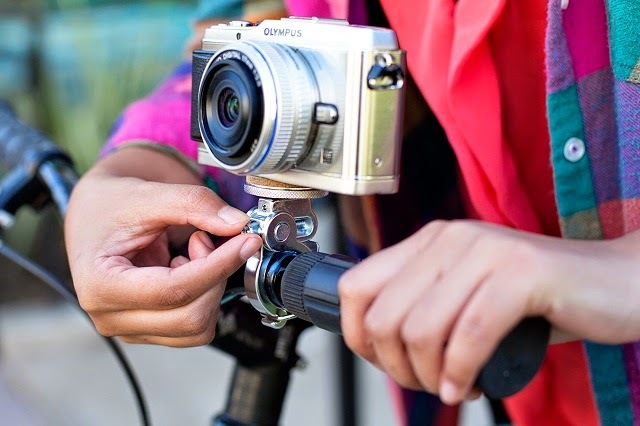 Bikepod - Minoura Camera Holder: This adjustable Bikepod turns your bike into a tripod; it attaches to your bike's handlebar and holds securely onto your camera or camera phone. 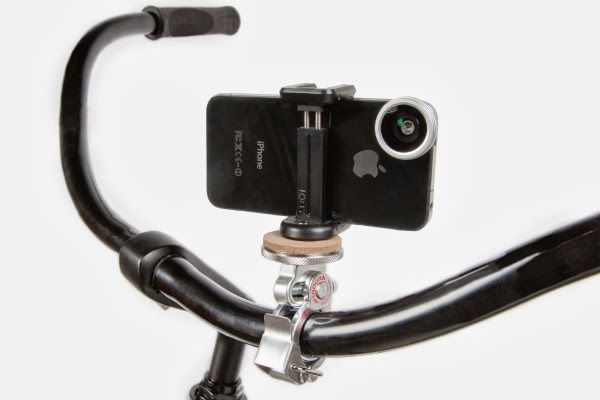 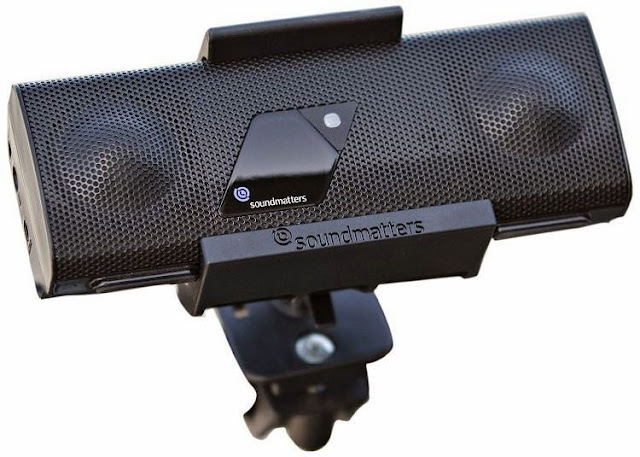 foxL Speaker Bikemount: This bikemount kit is for the foxL pocket-sized portable speaker system. 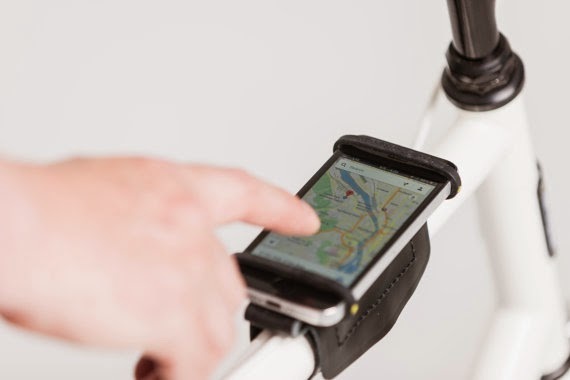 Thurman Leather Bike Phone Holder: This lightweight smartphone holder can be wrapped onto your bike's top tube and that makes it easy for you to listen to music or use maps on a bike. 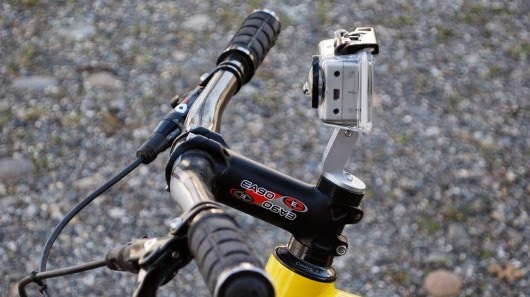 GoPro Bikemount: GoPro bikemount replaces the handlebar stemcap and it works with three generations of HERO cameras; it can be tilted up or down as they're being tightened into place. 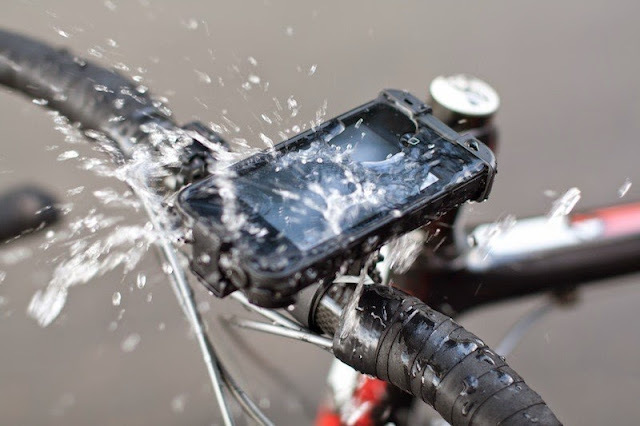 Lifeproof iPhone Bikemount: The LifeProof Bikemount allows you to place your smartphone on your handlebars in landscape or portrait orientation and allows it to be taken on biking adventure in any weather conditions. 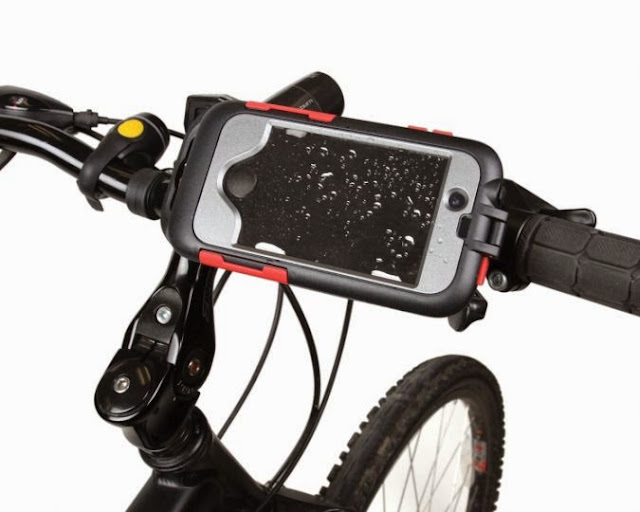 Stormcruiser Bikemount for iPhone 4/4S: This heavy-duty handlebar holder and protective case for iPhone 4/4S can be attached to any standard handlebars and it protects your favorite smartphone from dirt and liquid as you ride along. 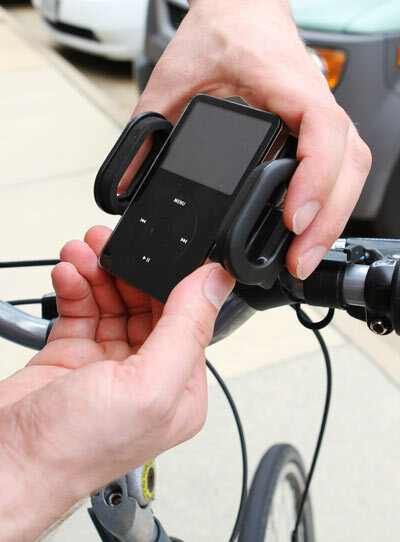 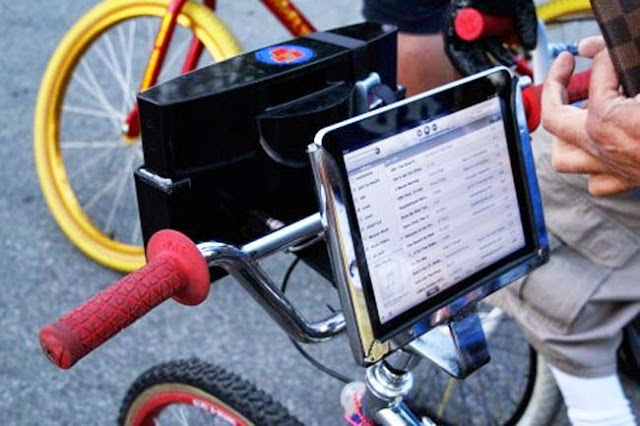 Universal Bike Fixable Gadget Holder: It holds your GPS, mobile phone, iPod, other gadgets on your bicycle. 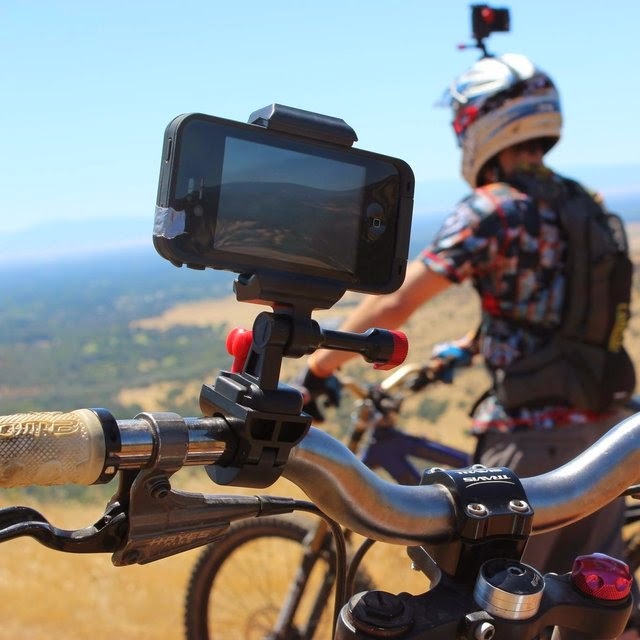 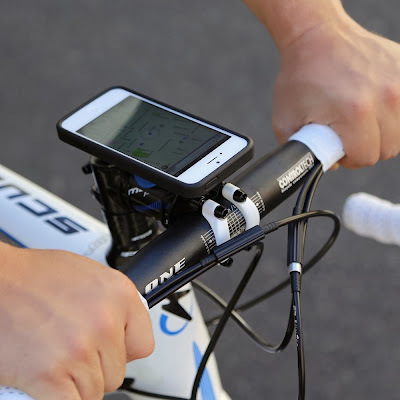 iPhone Bikemount: The GoRide is specially designed for cyclists who want to have access to their iPhone during rides; it allows you to easily attach your iPhone to your bike horizontally or vertically.